Home Dyslexia Myths Myths about Dyslexia. Last night I delivered my very first Parenting Dyslexia workshop called 'Introduction To Successfully Parenting Dyslexic Children' in London. One of the topics that I covered at the workshop was the topic 'Myths About Dyslexia'. Before I arrived to deliver the workshop I sent out a tweet to ask for help from all my Twitter friends to ask them what myths they have heard and I simply wanted to show you what I received! Over these past five years I have been very fortunate to get acquainted with a bunch of wonderful people who are all passionate about dyslexic potential. These are all people who have found their transition through education to be a tricky one and have experienced the lack of knowledge and the assumptions that go with that about dyslexia. As my friends so kindly took the time to send a reply to my request it made sense that I shared their comments with you with the hope that it will help to raise more awareness about Dyslexia. After all we are still inside of Dyslexia Awareness Month! @TheLifeDyslexic shared this one and I have heard it too. We live in times when claims about cures come up in the press and claims from suppliers of software that there product will fix issues with studying with dyslexia. 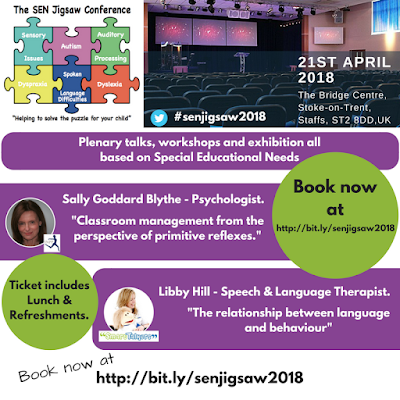 Dyslexia doesn't go away and to be honest, why should it be fixed when there are so many great skills that get developed as a result of having it? @DyslexiaAndMe has heard the myth that it is linked to visual problems. Dyslexia is often confused with Visual Stress (Meares Irlen) and it often co-occurs, but it is primarily a language based disorder which is mostly about how the brain processes the information. 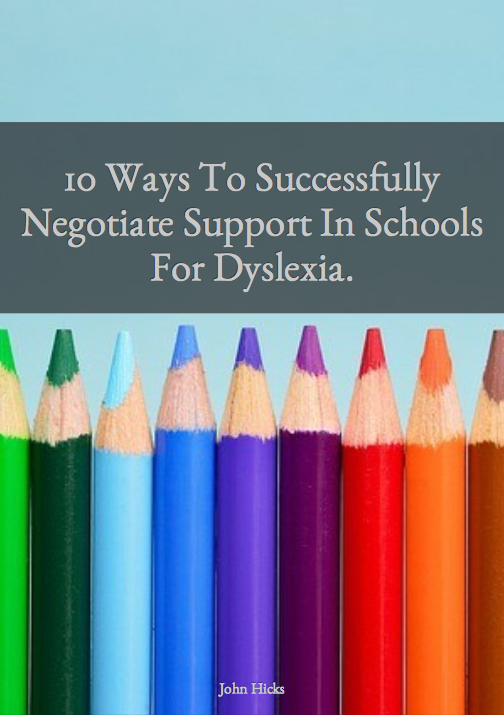 This is a great one from @DyslexiaStars and basically ....don't get me started! @Isaology expressed this one. I have actually have someone say that to me! The British Dyslexia Association states that there is approximately 10% of the UK population that are dyslexic. GL Assessment stated in one of their reports that there are many girls that hide it. If you believe that about your school then if that is true then you are probably discriminating against students who have dyslexia. Shame really as they can bring so many skills into any place, let alone schools. 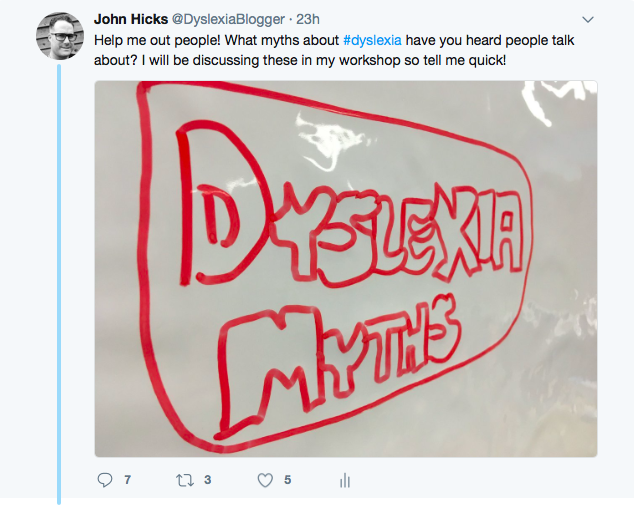 In our discussions last night we hear myths such as 'Dyslexics are stupid', 'Lazy and don't try hard enough', they are slow, the term dyslexia is just a term for everything that a problem with a child. Apparently dyslexics can't spell and get very confused with writing. 'Dyslexia is a condition that you see your doctor with'. Obviously these are terrible beliefs by people and we had a lovely discussion about this. I had a great time talking to these parents last night. They were open about what they understood and what they didn't and they are all clearly so committed to supporting their children through education. I would like to thank @TheLifeDyslexic, @DyslexiaAndMe,@DyslexiaStars and @Isaology for their support in helping me with this. I would also like to thank the parents who came and threw themselves into the workshop with such grace and vulnerability. "Good to hear shared experiences from other parents. Useful ideas around encouraging growth mindset and tips on dealing with schools." "Excellent way to meet other parents to share experiences. I learnt about understanding my child's perspective and more about my role as a parent / supporter." "This workshop had the right balance between lecturing and interaction. I really liked the interaction and hearing other parents experiences." 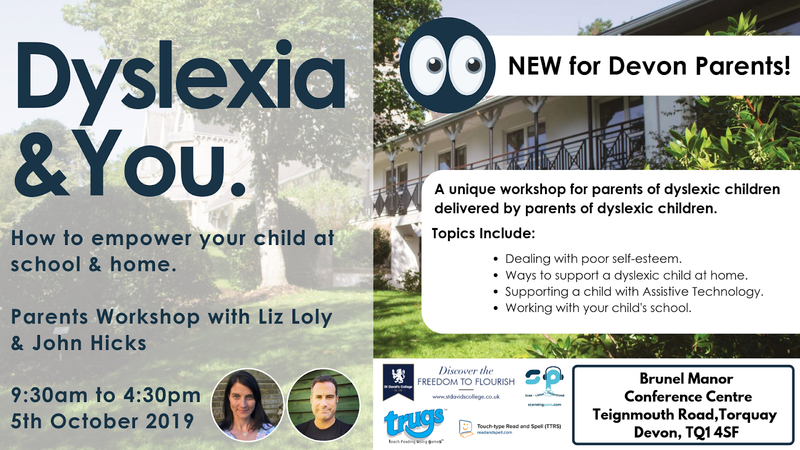 I would love to do a workshop in your area if you know a bunch of parents of dyslexic kids who would like to have me? If you would like to know when the next workshop is please sign up below and I will keep you updated.